June was a bad month for fishery-dependent, coastal communities. On the back of the passage of H.R. 1335—a bill that puts short-term economic gains ahead of sustainable fisheries—the North Pacific Fishery Management Council (Council) failed to impose significant bycatch cuts to the Bering Sea/Aleutian Island trawl fleet. As was noted a few weeks ago, Pacific halibut stocks have been in decline for the past fifteen years. But because bycatch limits have remained relatively static over that time, directed users (those who specifically target halibut in a commercial, recreational, or subsistence fishery) have carried the responsibility of conservation alone, with commercial fishermen in the Bering Sea taking around a 70% reduction in harvest between 2011 and 2014. This situation reached a new level of absurdity in 2014, when the groundfish fishery removed more halibut as bycatch than the entire directed halibut fishery. While the cuts made by the directed fishery have been felt across the North Pacific, these cuts have been particularly painful for the remote communities of the Bering Sea, such as St. Paul, where the economies and social fabric are nearly entirely dependent on halibut fishing. Coming into the Council meeting, these communities needed more than a 40% cut to bycatch in order to have a directed fishery in 2016. Under the Magnuson-Stevens Act, the Council must, when amending fishery management plans, adhere to ten national standards that ensure sustainable and responsible fisheries management. These national standards have inherent tension, and it is the Council’s job to find balance within these mandates. In the case of halibut bycatch, the Council primarily focused on National Standards 1, 8, and 9. National Standard 1 mandates that the Council prevent overfishing while also achieving optimum yield. National Standard 8 requires that the Council consider community involvement and provide for sustained community participation in the fishery. Finally, National Standard 9 directs the Council to reduce bycatch to the extent practicable. Balancing these standards is difficult, and because these standards are created to provide some discretion to the Council, they do not dictate a specific outcome. Nonetheless, the halibut bycatch decision demonstrates the limits of these standards, at least with respect to how the standards are disproportionately weighted towards the economics of an industrialized groundfish fleet. The Council’s decision resulted in an aggregate 21% cut to bycatch caps, which only amounts to a 0.7% reduction from 2014 bycatch mortality levels. For the Council, which was short two Alaskan votes due to recusals, the potential economic impacts of decreased groundfish harvest outweighed the smaller economic losses to halibut users. Simply, the Council was unwilling or unable to evenly weigh the benefits of small-scale, community fisheries with those of the industrialized trawl fleet. This decision will have a significant negative effect on directed halibut users, especially those in the Bering Sea. But it can serve the purpose of shaping our current discussions with respect to Magnuson-Stevens Act reauthorization. Specifically, the Council’s decision highlights some of the limits of the current Magnuson-Stevens Act when it comes to addressing bycatch. Under current standards, curtailing bycatch is limited by the vague and subjective practicability standard and the predominate view that optimum yield trumps bycatch reduction. 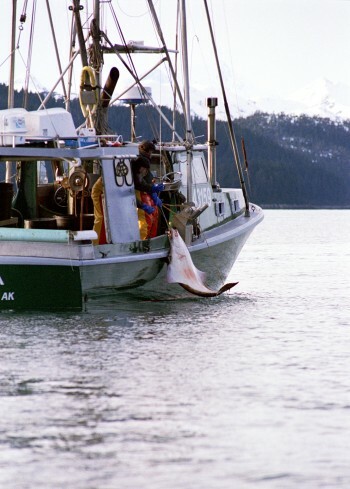 As the recent Council meeting demonstrates, such standards undervalue community fisheries and overlook the fact that not all bycatch is the same, particularly when one fishery’s bycatch supports coastal communities from Nome, AK to Seattle, WA. Moving forward, strengthening bycatch reduction provisions of the Magnuson-Stevens Act must be a key component of any reauthorization bill. Although the law does mandate some reduction, it must do a better job of distinguishing between different types of bycatch, including bycatch that is itself a valuable and fully utilized fishery. Further, it must also direct the Council to give more weight to sustained community participation as well as indirect economic and social dependence. Absent such protections, small-scale fisheries that lack the economic clout of the groundfish fleet will continue lose in the National Standards balancing act.